Win a New Access Fly Rod from Orvis! Enter your answer in the comments section below. 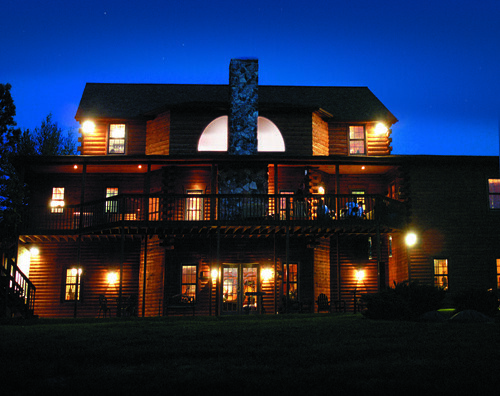 We’ll pick a random winner at 12 noon EST on December 6th to win a NEW Orvis Access fly rod! Good luck! 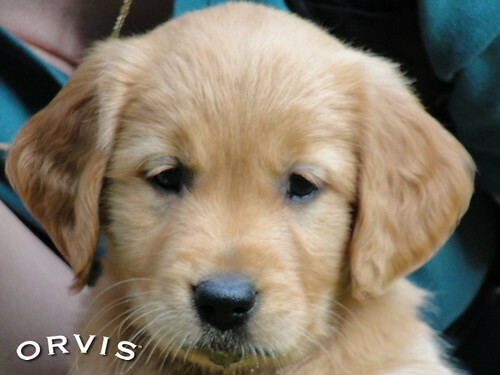 Orvis Puppy Monday – Ruby! Picking our new puppy! Yep, she’s the one! Start your Monday on a calming note with this performance of Franz Schubert’s Trout Quintet, written when the composer was just 22 years old. Those of us who love fly-fishing for trout can appreciate the mood of the piece. It is a series of variations on Schubert’s earlier song “The Trout,” which begins (in German, of course): . . . Developing a product and getting it on the shelves of a store or the pages of our catalog and website is merely one step of many in the life of a successful Orvis product. Of the thousands of products Orvis has developed in more than a century-and-a-half, many hundreds of them have become customer favorites. And many of these favorites have achieved this status due in large part to customer comments and reviews. In short, it’s our customers who, by commenting on the good (and bad) attributes of our products, ensure their success. Fly Fishing short from John Griber on Vimeo. The Tom Rosenbauer Thanksgiving-Break Trivia Challenge! Last week we ran my first trivia quiz (if you have not yet taken it, you still can, here)and the response was fantastic. Let’s see if you do as well on this one. Click on the banner with my picture, below and good luck! Chris Wood, TU’s President and CEO, talks with Steve Moyer,TU’s Vice President of Government Affairs, about upcoming legislation that is important to sportsmen. Steve gives an insider’s look into lobbying in Washington, D.C.—how it works and how people who care about trout and salmon can make their voices heard. If you cannot see the podcast player above, please click here to listen. Gary Harpole of Harpole’s Heartland Lodge and I were talking Friday, and he was pretty enthusiastic about a new 450-acre farm that he just added to the other 2,000 acres in his upland program. “This is all CRP land in native grasses and has been managed for wild quail in the past. It has gently rolling hills and some tree lines and fencerows, and has that kind of ‘hunting Uncle Charlie’s’ farm feel to it. It’s only ten minutes away, and we’ve been improving it with food plots. Our upland hunters. 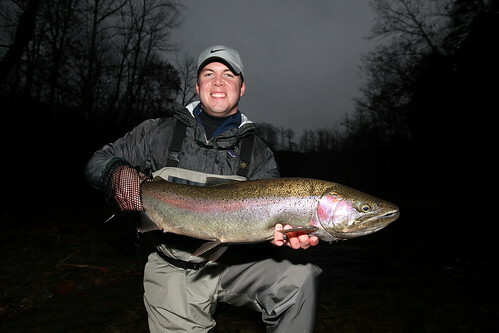 . .
Carter Hawkins with some fine PA steel. Scott Hawkins and his son Carter fished Pennsylvania’s Elk Creek with guide Greg Senyo Last week, and got into some good fish, as this photo attests. I think Carter’s smile pretty much says it all. Mark’s first striper on a fly – Lake Lanier from henry cowen on Vimeo. Georgia-based (but Brooklyn-born) fly-fishing guide Henry Cowenfilms a client catching his first striped bass on a fly one morning on Lake Lanier. The first minute or so offers a great view of a pod of. . .